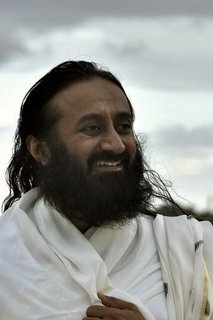 Sri Sri Ravi Shankar - Celebrating Life with Silence: Your Talents Are For Others! Please explain the significance of Go-daan (the custom of donating a cow as charity in India) and whether one should do it while being alive, or by someone else after his death. What is the reason behind doing this? Let us first understand the meaning of the word 'Go'. What does it mean? There are four meanings to it: Go means jnana (knowledge), gaman (to travel to one’s final destination), prapti (the act of receiving something) and Moksha (liberation). So the word 'Go' is synonymous with each of these four meanings. Go-daan therefore does not simply mean donating a cow in charity. It also means giving knowledge to someone. Before this life ends, you should share whatever knowledge you have gained in this lifetime with as many people as you can. Suppose you learnt and mastered playing the Sitar, but you die without passing on this knowledge to someone else, then you have not performed Go-daan in life. Then you cannot attain liberation. So, sharing all the knowledge that you have received with everyone else is Go-daan. The second meaning of Go is gaman. It means to progress in life. So when you move ahead in life, and also help others move forward in life, then that is progress. Our scriptures speak about Sadgati (good progress). So gaman means to reach a particular destination in life, and it also means to become so full and content within yourself. The third meaning is prapti (to receive), and it means to become content and happy once you receive something. This too happens with knowledge. Why is the cow referred to as 'Go'? The cow walks and moves, and it provides everything that one needs for life. You need food for life. The cow provides cow dung which is used to burn the earthen stoves for cooking food. Cow dung is also used to plough the fields before growing crops. The milk from the cows is so nutritious and satiates one’s hunger. Cow milk makes the body so strong and gives a lot of nutrition. Also, we get butter, cheese and curd from cow’s milk. So because of all these reasons, the cow is also called as Go. And then the fourth is knowledge or Jnana. Knowledge helps in the smooth running of life, and it also helps one to achieve great things in life (prapti). In the Indian culture, there is a deep connection between a word and its function. For example, the word 'Parna' (meaning leaf) means one that drinks in and absorbs water and energy from the Sun. Our scientists refer to this process as Photosynthesis. Why so? It is because the leaves absorb the energy from the sun. So, when you see it this way, Go-daan means to be able to make our life and skills useful for the benefit of others. In the ancient days, there was a custom of donating a cow to someone else because of this reason. By donating a cow to someone in need, they would be able to feed and sustain themselves and their family. In those days, the greatest wealth a person could have was a cow. Do you know why? It is because by donating a cow, you were helping the person to feed himself and also helping him to make a living. So in those days, having one or more cows was a huge source of support for life. This is why so much importance has been given to Go-daan in our culture. In West Bengal there are no Indian cows, only the foreign or hybrid varieties such as the Jersey cows are to be found. The administration there has sent many of the Indian cows to the slaughterhouses for beef, in the name of secularism. So the milk that we drink is not from the pure variety of Indian cows, but rather that of the hybrid cows. Please advise what we should do in such a situation. Yes, we must do something to secure and promote the indigenous Indian cow varieties. Just today, a gentleman from Andhra Pradesh had come to meet me. He told me that the species of the bulls found in Ungol were taken to Brazil for breeding. And now we are importing those varieties from Brazil itself. The species of bulls found in Andhra Pradesh are said to be the best, but it is so unfortunate that the species has nearly disappeared from our own country which is its home, and we have to import it from another foreign country. Why is this so? It is because many years ago, these bulls were exported to Brazil where they have been conserved and bred, while in our own country it has nearly disappeared. The Andhra Pradesh government is now engaged in efforts to revive and bring back this native species of Indian bull to our country. I truly appreciate the government for this initiative. I came to know that they are starting a full-fledged revolution to revive the native indigenous Indian varieties of cows and bulls in Andhra Pradesh, and I am happy to pledge every kind of support from the Art of Living for this noble cause. How can an atheist be transformed into a believer? There is a believer sitting in the heart of every atheist. You do not need to make any efforts to change them into a believer. You just stand by and watch with a smile. An atheist over time becomes a believer automatically (Laughter). What is the difference between God and Guru? All your wishes are getting fulfilled, isn’t it? That’s it. What else do you need? who comes first according to you: the Guru or one’s parents? It depends on the situation. If it a question of your marriage, then your parents come first and you should take their consent and blessings before proceeding further. But when it comes to spirituality and meditation, then listen to the Guru first. 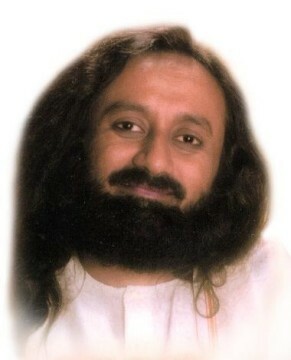 Meditate in the way I guide you during the guided meditations. Parents may not be well-versed with spiritual practices and meditation, so you should consult and follow the Guru rather than your parents when it comes to spirituality. if our parents come first, then why do people become Sanyasis (one who has renounced the material world)? See, it is an individual’s choice and a matter of personal interest when choosing a particular lifestyle. 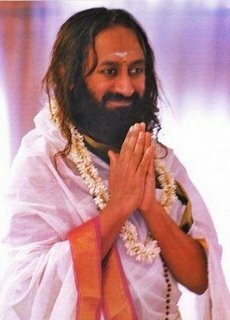 It is not a compulsion for everyone to become a Sanyasi. Neither is it a compulsion for everyone to get married and have children. Some people feel that they are happy by themselves and can work tirelessly for uplifting others and be devoted to the Divine. So if someone feels this way in their heart, then they become a Sanyasi. Then they do not feel the need for a companion, or a life partner. They many times feel that why should they marry and disturb the life of someone else when they are happy and content with themselves and wish to go on serving people. Parents should not force their children to get married. What is the purpose of the Ravana Gita? See, if you know about the Ravana Gita then you also know what it has been composed for. There are different kinds of Gita (literally meaning knowledge sung in the form of verses), each with a different purpose. But the essence of all these scriptures is the same, i.e.,Atma Jnana (Self-knowledge). There is a couplet in Hindi, 'Atma jnana bina sab soona; kya Kaaba kya Kashi'. (Meaning: What good are holy places of pilgrimage if one does not have Self-knowledge? ).